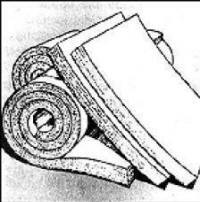 There are several types of building insulation material that can be use to insulate a building but to make a good choice one needs a basic understanding of the various types of insulation available, their R-values, and the thickness needed to achieve the recommended R-value. Most insulation uses the R-value to specify the thermal resistance, which is a measure of how well a material holds back heat. Typically the thicker the insulation, the higher the R-value and the better your home will be insulated. R-factor requirements will vary depending upon what area of the country you live and what area you are insulating (wall, floor, ceiling, etc.). For example, in warmer climates 2”x4” wall construction is more prevalent, whereas in colder climates 2”x6” wall construction is more common. Walls constructed using 2”x4” studs can only support rolled insulation with an R-value of R-13, whereas walls constructed with 2”x6” studs can support rolled insulation with an R-Value of R-19. Once you have determined what R-value is needed, you need to determine what type of insulation to specify/buy. Some types of insulation require professional installation, and others can be installed by the owner. Remember, for a given type and weight of insulation, the thicker it is, the higher its R-value. The basic forms of thermal insulation are summarized in Table 1. There are four major home insulation types to choose from. BLANKETS, in the form of batts or rolls, are flexible products made from mineral fibers or fiberglass. They are available in widths suited to standard spacing of wall studs and attic or floor joists i.e. designed to be installed in between standard wall stud, floor joist, or ceiling rafter spacing (e.g. 16 or 24 inches on center). Continuous rolls can be hand-cut and trimmed to fit, whereas batts come in pre-cut lengths. They are available with or without vapor retarder facings. Batts with a special flame-resistant facing are available in various widths for basement walls where the insulation will be left exposed. BLOWN-IN loose fiberglass insulation is ideal for attic or wall insulation; however professional installation is your best bet. The overall cost of blown-in insulation is on par with do-it-yourself rolled or batt installation. Blown-in loose-fill insulation consists of small loose fiberglass or fiber pellets that are effectively blown into building cavities or attics using special pneumatic equipment. Blown-in loose fiberglass insulation R-values can vary, depending on how even it is installed, however its overall performance is comparable with rolled or batt insulation. Another form includes fibers that are co-sprayed with an adhesive to make them resistant to settling. 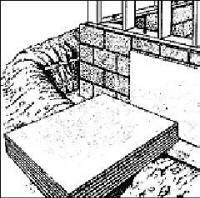 The blown-in material can provide additional resistance to air infiltration if the insulation is sufficiently dense. FOAMED-IN-PLACE polyurethane foam insulation can be applied by a professional applicator usually in new home construction using special equipment to meter, mix, and spray into place. 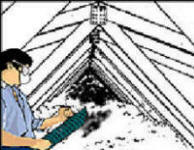 Polyurethane foam can also help to reduce air leaks. Sprayed polyurethane foam insulation has an excellent R-value compared to other insulation products with the same thickness. As a matter of fact, 2”x4” framed walls insulated with foam insulation can have the same insulation factor as 2”x6” framed walls using rolled insulation. Because it is sprayed in and then expands it seals and insulates even the tiniest of cracks and seams. The down side of sprayed polyurethane foam insulation, besides the fact that it needs to be professionally installed, is that it is messy. Once the foam has expanded it needs to be shaved down to the thickness of the wall studs. Foam insulation is also more expensive to install than other home insulation types, however, framing a home with 2”x4”s versus 2”x6” stud walls may mitigate the cost. In addition, the higher R-value will reduce your annual heating and cooling bills. RIGID INSULATION is made from fibrous materials or plastic foams and is pressed or extruded into board-like forms and molded pipe-coverings. These provide thermal and acoustical insulation, strength with low weight, and coverage with few heat loss paths. Such boards may be faced with a reflective foil that reduces heat flow when next to an air space. REFLECTIVE INSULATION SYSTEMS work by either reflecting radiant heat back into the building, as preferred in winter months, or reflecting it away from the building during summer months because much of the heat loss or heat absorption associated with a building is due to radiant heat. Reflective insulation systems are constructed out of aluminum foils with a variety of backings such as Kraft paper, plastic film, polyethylene bubbles, or cardboard. The resistance to heat flow depends on the heat flow direction, and the location of the radiant barrier in relation to the system insulation. 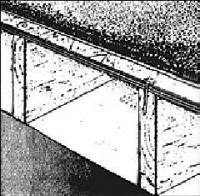 Reflective systems are generally located between roof rafters, floor joists, or wall studs. If a single reflective surface is used alone and faces an open space, such as an attic, it is called a RADIANT BARRIER. They are more effective in warmer climates in reflecting the sun’s radiant heat waves away from a building than in cool climates. All radiant barriers must have a low emittance (0.1 or less) and high reflectance (0.9 or more).